Ebola has killed 256 people in Sierra Leone. A total of 826 have died in West Africa since the outbreak began in February. Tests are now being carried out to see if the woman had disease. The plane was quarantined as ­officials desperately tried to trace everyone who had been in contact with the woman. Airport workers face an anxious wait to see if the woman had Ebola. One said: “Everyone’s just ­petrified. Obama is gathering nearly 50 African heads of state in Washington today or tomorrow.Some kind of a summit he has planned. Bring in 50 heads of state, their entourages, their bodyguards, their press secretaries, etc. etc.—some of whom are from West African ebola-infected states. And have JUST ONE of them cough, sneeze, or spit, in the wrong area, and presto, IT’S HERE. creates the National Prevention, Health Promotion, and Public Health Council, a group of 'experts' that carry out whatever activities Obama deems appropriate. So he signs and passes legislation all on his own? Well we will see how this flys and if it goes into effect or not. The health and wellness, natural foods, and nutritional supplements industries have been fighting against the introduction of Codex Alimentarius for decades. Naturally, Fuhrer Obama LOVES this sort of top-down, totalitarian control, and he signed it into law. Does this mean supplements like fish oil pills, vitamins etc? It means exactly that. It won't be aimed at individuals. It will be aimed at providers = stores. They can prohibit it that way, by restricting commerce -- making it illegal to sell specified products. He wants control over everything we do....where we shop...what we buy...what we eat...where we live, etc., etc. Stepford PEOPLE not just Stepford wives. John McCain Bill Threatens Vitamins and Supplements! Most are familiar with those commercials on television promoting prescription drugs that supposedly offer relief from a variety of ailments, if one would only pressure one’s doctor to obtain them. They have become a source of great entertainment and amusement to some, the kicker coming at the end of each commercial when the FDA-approved medication’s obligatory litany of warnings and dangerous side effects is recited: “Tell your doctor if....” and “Side effects may include.....” Some of the warnings are mild like diarrhea and constipation, some list serious effects like cancer or tuberculosis, and others admit that sometimes even death can result. The McCain bill would change existing mandatory serious adverse reporting regulations, requiring minor adverse effects to be reported as well so that the FDA could arbitrarily pull supplements off the shelves or reclassify them as drugs. This immediate recall authority would be granted to the “Secretary upon determination,” that there is a “reasonable probability” that the product is “adulterated” or “misbranded.” Adulterated in this bill takes on a whole new expanded definition: “A dietary supplement which contains a new dietary ingredient shall be deemed adulterated under section 402(f) unless there is a history of use or other evidence of safety.” The development of new products that contain newly discovered nutritional components may be entirely quashed. The hypocritical contrast between the regulation of drugs that can kill and the proposed hyper-regulation for food products -- vitamins, minerals, herbs -- is as plain as the nose on everyone's face. In this perverted overly-regulated country, food is now toxic, and drugs and chemicals are safe for ingestion, no matter the harm that results. This inversion should remind us that those who best have the consumers health and safety interests at heart are the consumers themselves. It is big government that has a proven track record of not protecting the public. Fair and Equal Media Reporting? How often do you see negative stories concerning nutritional supplements? It seems to be that, from time to time, the media takes a negative view of nutritional supplements, so, let's take a look at some cold hard facts. 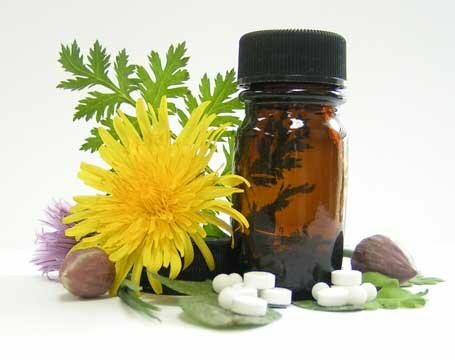 According to the most recent information collected by the U.S. National Poison Data System (OMNS, January 19, 2010), there was not one death caused by a dietary supplement in 2008. 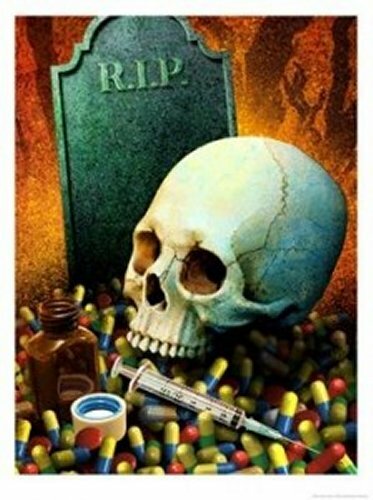 The new 174-page annual report of the American Association of Poison Control Centers, published in the journal Clinical Toxicology, shows zero deaths from multiple vitamins; zero deaths from any of the B vitamins; zero deaths from vitamins A, C, D, or E; and zero deaths from any other vitamin. Additionally, there were no deaths whatsoever from any amino acid or herbal product. This means no deaths at all from black cohosh, echinacea, ginkgo biloba, ginseng, kava kava, St. John's wort, valerian, yohimbe, Asian medicines, ayurvedic medicines, or any other botanical. There were zero deaths from creatine, blue-green algae, glucosamine, chondroitin, melatonin, or any homeopathic remedies. Furthermore, there were zero deaths in 2008 from any dietary mineral supplement. This means there were no fatalities from calcium, magnesium, chromium, zinc, colloidal silver, selenium, iron, or multi-mineral supplements. Two children died as a result of medical use of the antacid sodium bicarbonate. The other "Electrolyte and Mineral" category death was due to a man accidentally drinking sodium hydroxide, a highly toxic degreaser and drain-opener. No man, woman or child died from nutritional supplements. Period. 61 poison centers provide coast-to-coast data for the U.S. National Poison Data System (NPDS), which is then reviewed by 29 medical and clinical toxicologists. NPDS, the authors write, is "one of the few real-time national surveillance systems in existence, providing a model public health surveillance system for all types of exposures, public health event identification, resilience response and situational awareness tracking." 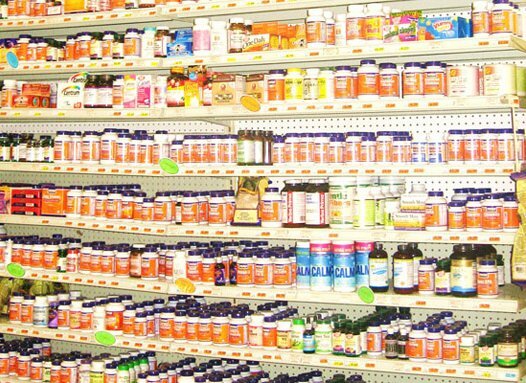 Over half of the U.S. population takes daily nutritional supplements. If each person took only one tablet a day, that would total 154,000,000 individual doses per day, for a total of over 56 billion doses annually. Since many people take more than just one vitamin or mineral tablet on a daily basis, actual consumption is considerably higher and the safety of nutritional supplements is all that more remarkable. If nutritional supplements are allegedly so "dangerous," as the FDA and news media so often claim, then where are the bodies? Those who wonder if the media are biased against vitamins may consider this: how many television stations, newspapers, magazines, and medical journals have reported that no one dies from nutritional supplements? McCain bill threatens access to vitamins and supplements. This really ticks me off! John McCain in doing this, attempting to do this has now become even more of an enemy then he was before I saw this news. I have been taking vitamins all, my life and even more as an adult. Adding in supplements and additional vitamins for the years. I get them from three main places and Richard who sent me this article has one of the places I get them from. I can testify that taking vitamins and supplements DO make a difference, In energy, skin, strength, alertness, memory, and a persons immune system, plus just their general health is improved. One time a doctor I was going to when I lived in Malibu, Calif. joked that he did not take vitamins and got a kick out of how I believe in vitamins and supplements. LOL I just smiled and said no problem you don't have to , but for myself I will always take them. One year later on my next physical when he was done, he said to come in his office and have a seat. I did and the first thing he did was he reached across his desk and put a package of daily vitamins in front of me. hahaha I asked him what was this? He said, " they are mine and as you know I had a heart attack and now I take vitamins every day. " I again smiled and said I am sorry you had a heart attack, but I am very glad to see you taking vitamins. They won't be 100 % why a person does not have a heart attack but they sure can help keep you healthier so that maybe you will have a chance and your heart will be healthier too. McCain should know better then to do this idiotic BILL of his. He is not a well man and needs all the help he can get. To do this would make it very costly for people to buy necessary vitamins and supplements to keep healthy and stay fit and well. People that have surgery are often told to take certain vitamins to aid in healing and fight off side effects. I could go on for hours about how good they are but I won't. haha It is up to the individual imo and McCain the POS wants to mess with something that messes with anyone wanting to be as healthy as possible. If anyone would like to contact Richard about his vitamins and supplements his email is. Barack Obama declared the swine flu outbreak a national emergency, giving his health chief the power to let hospitals move emergency rooms offsite to speed treatment and protect noninfected patients. Hospitals could modify patient rules — for example, requiring them to give less information during a hectic time — to quicken access to treatment, with government approval, under the declaration. It also addresses a financial question for hospitals — reimbursement for treating people at sites not typically approved. For instance, federal rules do not allow hospitals to put up treatment tents more than 250 yards away from the doors; if the tents are 300 yards or more away, typically federal dollars won't go to pay for treatment. SWINE FLU PDF file....know othe facts before getting your shot. 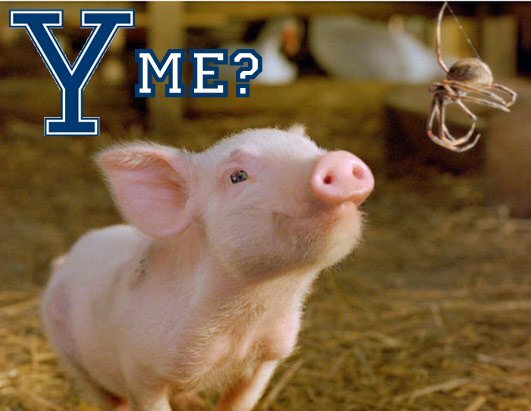 CBS Reveals that Swine Flu Cases Seriously Overestimated ......CLICK on LINK to see videos and article. President Obama's school age daughters have not been vaccinated against the H1N1 flu virus. White House Press Secretary Robert Gibbs says the vaccine is not available to them based on their risk. His excuse for even more power grabbing. Obama sickens me right down to my soul. 4. The CDC developed a new diagnosis code for this swine flu. Please go HERE to read more and about an interview from 1977 on "60 Minutes"
Health and Human Services Secretary Kathleen Sebelius appealed anew Wednesday for widespread inoculation against a surging swine flu threat, calling the vaccine "safe and secure." Sebelius unconditionally vouched for the safety of the vaccine, saying it "has been made exactly the same way seasonal vaccine has been made, year in and year out." Appearing on morning news shows to step up the Obama administration's campaign for vaccinations, Sebelius said that "the adverse effects are minimal. ... We know it's safe and secure. ... This is definitely is a safe vaccine for people to get." 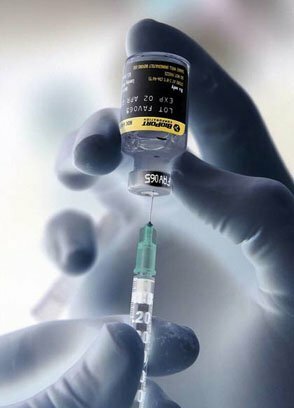 ‘SAGE [WHO's advisory panel on Pandemic Vaccines, on which Baxter and other vaccine manufacturers sit - REL] recommended that promoting production and use of vaccines such as those that are formulated with oil-in-water adjuvants and live attenuated influenza vaccines was important,’ says the WHO pandemic briefing note. The most common adjuvant for human use is an aluminum salt called alum derived from aluminum hydroxide, or aluminum phosphate. A quick read of the scientific literature reveals that the neurotoxic effects of aluminum were recognized 100 years ago. Aluminum is a neurotoxicant and has been linked to Alzheimer’s disease and other neurological disorders. Prior to 1980, kidney patients undergoing long term dialysis treatments often suffered dialysis encephalopathy syndrome, the result of acute intoxication by the use of an aluminum-containing dialysate. To deepen one’s understanding of the shadowy world of vaccine development, award winning investigative journalist Gary Matsumoto’s new book is a “must read.” It documents the secret human medical experimentation conducted on American citizens by doctors and scientists working for the U.S. military. It is a book about “betrayal of the most fundamental rules of medical ethics; and betrayal of the basic duty of military and civilian leaders to protect the people they govern.” Vaccine A: The Covert Government Experiment That’s Killing our Soldiers and Why GI’s are Only the First Victims, is a gripping read into the mad science world of the U.S. military’s biowarfare vaccine development program which, since 1987 has injected tens of thousands of U.S. troops with an experimental unlicensed anthrax vaccine containing squalene. “When UCLA Medical School’s Michael Whitehouse and Frances Beck injected squalene combined with other materials into rats and guinea pigs back in the 1970’s, few oils were more effective at causing the animal versions of arthritis and multiple sclerosis”, writes Matsumoto. In 1999, Dr. Johnny Lorentzen, an immunologist at Sweden’s Karolinska Institute proved that on injection, “otherwise benign molecules like squalene can stimulate a self-destructive immune response”, even though they occur naturally in the body. Other research institutes have also shown that the immune system makes antibodies to squalene, but only after it is injected (6) We now know that squalene, added to boost immune response in a formulation known as MF59, is the secret ingredient in certain lots of experimental anthrax vaccine that has caused devastating autoimmune diseases and death in countless Gulf War vets (Canadian, British and Australian troops were also injected with squalene laced vaccine), and continues to be used today. Immunologist, Dr. Pamela Asa was the first person to recognize that the autoimmune diseases she was seeing in military personnel mirrored those in experimental animals injected with oil formulated adjuvants. When she met a patient with similar autoimmune symptoms who had participated in an experimental herpes vaccine trial, who also knew he had been injected with MF59, a squalene adjuvant being used as a ‘placebo’ in that study, everything began to fall into place. This phenomenon is also known as ‘molecular mimicry’, where the immune system forms antibodies against one of its own structures and will continue to attack the ’self’ molecule in the body that resembles the one in the germ, or as is the case with squalene, an identical substance that is naturally present in the body. Once this self-destructive process begins, it never stops as the body continues to make the molecule the immune system is now trained to attack. Molecular Mimicry as a Bio-Weapon Matsumoto reports that Soviet bioweaponeers used the principal of molecular mimicry in the 1980’s to engineer a ‘designer disease’ that would attack myelin. By splicing a fragment of myelin basic protein into legionella bacterium, they created what amounted to a living “nano-bomb”, which they injected into guinea pigs. What they found was that the immune system quickly cleared the legionella bacterium, but the myelin molecule, smuggled in by this microbial “Trojan horse” initiated a second wave of disease which caused experimental allergic encephalomyelitis, the animal version of MS. The Soviets recognized this creation for what it was – a biological time bomb!! Sebelius can go to hell. This is completely illegal. The government cannot force you take their drugs. Well everyone, we have the government that our Founding Fathers warned us about. 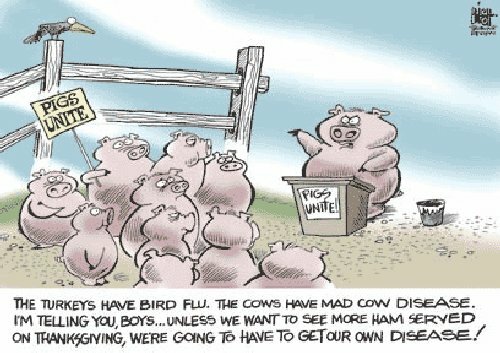 New York H1N1 Swine Flu Protest (Medical Staff Refuse To Take The Shot & Shep does NOT get it! Washington Times....article is 3 pages in length so please click on the link for the entire article. Centers for Disease Control and Prevention figures for the 2007-08 flu season, the most recent available, show that just 45.4 percent of U.S. health care workers ages 19 to 64 were immunized against seasonal flu that year. Three British surveys released in recent weeks suggest the same pattern with the novel H1N1 virus, commonly known as the "swine flu" virus. But Dr. Tom Talbot, a professor at Vanderbilt University School of Medicine, said "there has been a big wave this year" of mandatory vaccination rules, ranging from small doctors' offices to large medical care and hospital systems. "A lot of people are leaning [toward mandatory vaccinations], pointing to it as a safety issue, akin to a surgeon refusing to do a scrub before surgery," he said. "I think H1N1 has prompted it," he said, adding that rules for seasonal flu are in place and likely will be for H1N1 when the vaccine becomes available. He said that voluntary systems need resources to exhort workers into complying, making a mandatory policy cheaper and quicker. "Our policy is to strongly urge all [registered nurses] directly involved in patient care to get seasonal protection annually. We are taking a look at the situation regarding novel H1N1," said Mary McNamara of the American Nurses Association. "A handful" of people who chose not to get a shot in the first season were dismissed, she said. "You can get a religious or medical accommodation, say if you have a proven allergy [to eggs, the basis of the vaccine], but you still have to abide by our infection control policy," she said, meaning that such a worker would "have to wear a mask during all of flu season everywhere in the medical center except in the cafeteria while you are eating. It's really important for patient safety." While dozens of demonstrators are expected at the rally from throughout the state, many are from Stony Brook University Medical Center. A meeting was held last week for hospital staff on the importance of vaccination for health care workers; a special session was held for employees in the Neonatal Intensive Care Unit, because many nurses there had expressed concern about the vaccination plan. The health care workers were protesting this in Albany yesterday. There was talk that if they refuse the shot they will lose their job. To amend the Federal Food, Drug, and Cosmetic Act to improve the safety of food in the global market, and for other purposes. It comes as no surprise that efforts are underway by the federal government to curtail our access to food. It’s not the first time those in power have used regulatory powers to limit rights to this basic necessity. The devastating effects of government control over food can be seen in Zimbabwe and all over Africa, in Southeast Asia and in Russia. It should also come as no surprise that the Food and Drug Administration (FDA) would be the vehicle by which our food is limited. If you’re impressed with the FDA’s track record on drug safety you’ll love how it all pans out when they’re in control of our food supply. Control is the operative word here because efforts underway in Washington will give the Food and Drug Administration unprecedented authority to determine what we eat, where we get our food and even whether we can access the bounty of our neighbors’ vegetable stand. Even BusinessWeek addressed the increased powers proposed for the FDA noting: “the FDA will have authority under the legislation to inspect the business records of food producers at any time, free of the current limitation that requires a reasonable belief that adulterated food is being sold.” According to the Farm-to-Consumer Legal Defense Fund, "FDA would now be empowered to go on a ’fishing expedition’ and search records without any evidence whatsoever that there has been a violation." For all those who believe government is always looking out for our best interests, remember that our Founders established the 4th Amendment for just such “fishing expeditions” by nosy government agents. The Food Safety Enhancement Act of 2009 purports to “improve the safety of food in the global market, and for other purposes.” It’s the “other purposes” that are cause for concern. The bill which has passed the House and now awaits Senate approval is a frightening testament to what happens when people don’t pay attention to what’s happening in D.C... Using recent food recalls of peanuts, spinach and beef as evidence of the need for more stringent controls over the food supply, the legislation would require that food producers, including the local farmer who grows pumpkins once a year just for grins, would have to comply with a time consuming record keeping scheme, and adds a new tax to all “facilities” which produce food, (which could be anyplace where food is grown or prepared). In addition, food in “holding facilities” would be under the control of the FDA . Such broad categorizations could mean anyplace, including a basement, storage shed or pantry. That could lay the groundwork for some chilling scenarios. Could we see in this country what happened when Stalin’s regime in the Ukraine starved between 7 and 11 million people? That little acknowledged atrocity was a deliberately engineered program of genocide against the country peasants. Stalin’s men stormed onto farms, rounded up the families, dug up basements and tore down barns looking for kernels of grain the starving peasants might have set aside for their families while being forced to turn over all their crops. The number of deaths from this 1933 famine was, by many accounts equal to or greater than the number killed in Hitler’s Holocaust, but was covered up even by Americans like New York Times reporter Walter Duranty who won a Pulitzer Prize for his writings denying Stalin’s deadly campaign. Not unlike a tyrannical regime, Big Brother wants to keep tabs on all things edible. In this case, it’s being done under the guise of keeping our food supply safe. It’s always about our safety, after all. A provision in HR 2749 would "establish and maintain a system for tracing the food that is interoperable with the systems established and maintained by other such persons; and use a unique identifier for each facility owned or operated by such person for such purpose." This dovetails nicely with the National Animal Identification System (NAIS) proposed several years ago which would require an expensive tagging of every pig, cow, horse or goat Americans owned. HR 2749 would drive small, independent farmers out of business and hand Big Agribusiness Carte Blanche to push on us whatever Genetically Modified Frankenfoods they choose. HR 2749 would function as the backdoor assault on small, organic, family farming which will sound the death knell for our most basic freedom- the freedom to grow, sell and eat what we choose. * While Taylor was at the FDA in the early 90's, he also oversaw the policy regarding Monsanto's genetically engineered bovine growth hormone (rbGH/rbST) -- injected into cows to increase milk supply. The milk from injected cows has more pus, more antibiotics, more bovine growth hormone, and most importantly, more insulin-like growth factor 1 (IGF-1). IGF-1 is a huge risk factor for common cancers and its high levels in this drugged milk is why so many medical organizations and hospitals have taken stands against rbGH. The drug was banned in Canada, as well as Europe, Japan, Australia and New Zealand. But it was approved in the US while Michael Taylor was in charge. His drugged milk might have caused a significant rise in US cancer rates. Additional published evidence also implicates rbGH in the high rate of fraternal twins in the US. This link below This site, Food Freedom, provides somewhat of an overview of the objections to 2749. The so called Food Safety Bill hands carte blanch enforcement to the whims of Obama’s Food Czar. Interesdting this about this Bill there is also outrage from the left on this. This will put a bunch of hippy organic micro farms out of business. The cost of our food will skyrocket, and only the gov’t chosen corporations will be able to grow our food....based on BS in this bill, and Codex Ameriterius which is global food control among other things. This bill is anti-rural in general, and cuts our self-reliance in favor of relying on big agribiz and foreign imported foods. When you click the link above and see who voted for it, I honestly think the ones that are Conservatives that voted for this thing had NO clue what it is about. There is no way they could have and done such a thing or what they hell were they thinking. Like Michele Bachmann voted for it but honestly I really think she may not have made connection, as many are wanting to protect our food supply from e coli problems we had last year....and then there was the peanut butter salmanella. It’s their way of using a crisis again to push a left agenda. This bill is insane. It hands our food production over completely to giant international corporations. wonder how much American citizens will be able to withstand with so many things against our country and we the people. And most people are not aware of Codex Alimentarius and some other things planned. They used it in Germany in WW11. Our right to eat healthy food and use supplements of our choice is rapidly vanishing, but every effort has been made to keep you in the dark about the coming nutricide. As mentioned in this article, the 1976 swine flu vaccine campaign caused more harm than good, and there are indications that the current campaign may end up being a devastating repeat or worse. At that time, one person died from the actual swine flu, while 25 people died from adverse reactions to the vaccine, and several hundred people developed crippling Guillain-Barré Syndrome. 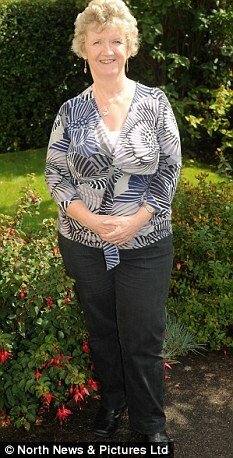 According to The Daily Mail, the British Health Protection Agency sent letters to 600 neurologists on July 29th, warning them to be on the lookout for cases of Guillain- Barré Syndrome once the swine flu vaccine campaign begins. Why the warning was not sent out to general practitioners, who will be administering the shot, seems an odd choice if public safety is indeed the main concern. This confidential correspondence between the British public health agency and neurologists in the U.K. is the first clue that all is probably not well with this fast-tracked pandemic vaccine. Are You Willing to Let Them Experiment on Your Child? According to a recent report from CNN, the U.S. is set to receive as many as 600 million doses of swine flu vaccine, enough for 300 million Americans. However, pregnant women, children, and those whose immune systems are already compromised are also at even greater risk to suffer severe side effects from the vaccine, as the adjuvants in the vaccine are designed to reduce your immune function. Barbara Loe Fisher of the National Vaccine Information Center (NVIC) recently warned about the campaign underway to turn schools into virtual vaccination clinics. In many U.S. states, school has already started, so the decision of whether or not to vaccinate your child may become an issue you’ll have to deal with in the coming weeks. In the U.K. the hysteria over swine flu led to flu drugs being offered online, without a doctor’s prescription. This is incomprehensible, considering their risk. Just a couple of weeks ago I reported on brand new study findings that the swine flu drug of choice, Tamiflu, caused one or more side effects in OVER HALF of all children who received it! The British Medical Association’s lead expert on swine flu went on the record stating that Tamiflu is now being overused. Keep in mind that, although the swine flu has spread across the world it appears to have decreased in severity. The vast majority of cases are very mild, requiring only a few days in bed. In fact, the regular seasonal flu is still far worse, and more deadly, than the swine flu. The intended effect of a vaccination is to help you build immunity to a potentially harmful organism. However, your body’s immune system is already designed to do this in response to organisms that invade your body naturally. Most disease-causing organisms enter your body through the mucous membranes of your nose, mouth, pulmonary system or your digestive tract. These mucous membranes have their own immune system, called the IgA immune system, which fights off invading organisms at the point of entry, reducing or even eliminating the need for activation of your body’s immune system. A vaccination, however, delivers either live or attenuated (dead) viruses directly into your tissues and blood stream through injection, completely bypassing your body’s first line of defense. And when combined with an immune adjuvant, your body’s immune system kicks into high gear in response to the vaccination. If your immune system is too weak to deal with the assault, severe side effects can occur. To emphasize this point further, when ingested, the vaccine adjuvant squalene is actually recognized by your immune system as an oil molecule native to your body. It has antioxidant properties and is found throughout your nervous system and brain. As a result, your immune system will attempt to destroy the molecule wherever it finds it, including in places where it occurs naturally, and where it is vital to the health of your nervous system. For more information about squalene, and the hazards it poses when included in flu shots, please review my recent special report on the topic, if you have not already done so. Just last week I reported on Canada’s decision to investigate the role of vitamin D in protection against the swine flu. This is great, but there are already overwhelming evidence showing that your vitamin D levels play a significant role in your likelihood of getting the flu. Vitamin D has been a hot research topic these past few years, and has been shown to have remarkable impact on nearly every single disease studied. Taking care of your health to reduce or eliminate your risk of contracting the flu is always going to be your safest bet. In addition to optimizing your vitamin D levels, this past article details my other recommendations for avoiding the flu naturally, and I strongly urge you to start incorporating these changes into your life today. I sure hope they don't force us to take this swine flu shot. I can't see how they can unless there are thousands of deaths or something. …unforeseen economic collapse, loss of functioning political and legal order, purposeful domestic resistance or insurgency, pervasive public health emergencies, and catastrophic natural and human disasters are all paths to disruptive domestic shock. The CDC is finalizing quarantine regulations formulated during the Bush years that provide for quarantining “a large group of persons” suspected of having swine flu or other illnesses listed in an executive order. This means that President Obama can quarantine anyone as long as they have an illness he determines to be dangerous. These new regulations even permit "provisional" quarantine of persons not actually carrying any virus. In one section, the regulations empower the president to quarantine anyone that does not agree to be vaccinated, an ominous condition since recent investigations have revealed that swine flu vaccines can cause serious medical complications. Thousands of doctors have voiced strong opposition to the proposed swine flu vaccine, due to its association with neurological disorders. No matter, a bill before the Massachusetts State Senate would permit authorities to enter homes and detain without warrant citizens who do not agree to be forcibly vaccinated. Iowa just released a new Orwellian quarantine policy directive that states in the event of a swine flu outbreak, “your home and other less restrictive alternatives are not acceptable.” These moves appear to be the result of federal incentives advancing mandatory vaccination. If these recent events were mere coincidence, Americans could peacefully go about their business. But Obama is no ordinary President. This is the man who began his political career in the home of terrorists Bill Ayers and Bernadine Dohrn, former members of the notorious Weather Underground that plotted the deaths of 25 million Americans in "re-education camps." Swine Flu's Worst Case Scenario: Paranoia or Preparedness? An uncontrollable, deadly virus ravages America, shutting down civilian institutions and triggering martial law. Vaccinations are compulsory, and there are mass quarantines throughout the country. 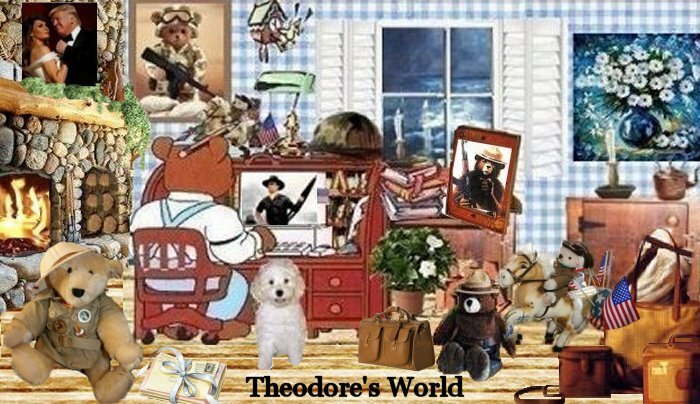 It's the stuff of Hollywood — but rumors that it could be real are spreading like the flu in the blogosphere, where some people are loudly expressing their fears that the federal government is seriously considering such measures as it maps out a worst-case-scenario response to the swine flu pandemic. During the bird flu scare of 2005, the Bush administration added novel forms of influenza — including the swine flu — to the official list of "quarantinable communicable diseases," clearing the way for the forced detention of people who exhibit symptoms of the disease. Now a proposal awaiting Defense Secretary Robert Gates' approval would allow the military to set up regional teams to assist civilian authorities in dealing with the impact of the swine flu pandemic. And some observers see this level of government preparedness as little more than a pretext for tyranny. "The implications are far reaching," Michel Chossudovsky wrote on the Global Research Web site, which averages 18,000 visitors daily. "The decision points toward the establishment of a police state," he said. "It would be extremely troubling and raise serious constitutional questions," Chris Calabre, ACLU counsel for technology and liberty, told FOXNews.com when asked how the civil liberties group would react to mandatory quarantines. "We opposed this in 2005 and will do so again because it gives the government blanket authority to hold anyone and has no due process." Foreign governments, too, are thought to be drawing up worst-case emergency plans that rely heavily on armed forces. "In addition to planning mass graves and crematoriums operating around the clock, governments are planning to implement martial law in response to a pandemic," Kurt Nimmo wrote on Infowars.com, which has been tracking disturbing developments in swine flu preparedness. But — even if such severe measures were in the planning stage — would they amount to hysteria? Or would they be prudent precautions? Many point to the Spanish Flu pandemic of 1918, which killed between 20 million and 50 million people worldwide. Extrapolating those numbers to today's population suggests a comparable death toll of 360 million people, according to Michael Osterholm of the University of Minnesota's Center for Infectious Disease Research & Policy. "Expect nothing to happen and prepare for the worst, " says Dr. Peter Katona, an infectious disease expert at UCLA. "We will need ample supply of vaccine and a distribution system that prioritizes who gets it and when." But, he added, "we won't need the military unless it becomes really bad, and the National Guard will be called in first." Defense Department spokeswoman Almarah Belk acknowledged the rumors, saying, "There is a camp of people out there concerned about civil liberties and the use of force." But she said the planning at the Pentagon is in response to a request from the Department of Homeland Security, and it primarily involves logistics like airlift capabilities for patient transport or delivery of medical supplies. Except in special circumstances, the military is forbidden from enforcing civilian law under the Posse Comitatus Act, a Civil War-era law that ended the use of federal troops to oversee elections in former Confederate states. "There are checks and balances in place that prevent the use of the military to restrict people's movement or go house to house," said attorney Robert L. Shannon, Jr., an expert on legal restraints covering the military in civilian affairs. "But it's important to remember that the president has the option and authority to use federal troops in a national emergency," he added. " I think if we do have a doomsday scenario with swine flu, the American people are going to want their government to respond." Shannon, who is vice commander of the Georgia Air National Guard, has firsthand experience from deployments during Hurricane Katrina. "If we learned anything from that experience," he said, "it's that thorough advance planning for worst-case scenarios is essential, especially when you've got to coordinate so many different state and federal agencies." Forced quarantines were common in the era before vaccines, but health experts doubt their effectiveness and practicality in fighting swine flu. "This doesn't appear to be an especially deadly strain," said Deborah Lehman, Director of Pediatric Infectious Disease at Cedars Sinai hospital in Los Angeles. "At this point it looks like the seasonal flu will be responsible for more deaths than swine flu. Many experts privately worry not about an overwhelming government response — but about an inadequate one. "There's simply not going to be enough vaccination doses to go around," said one pharmaceutical industry executive who declined to be named. "You're more likely to see the military protecting health facilities and hospitals instead of forcing people to get medication," the executive said. So rewrite the script: An uncontrollable, deadly virus ravages the population, triggering martial law to protect a handful of survivors lucky enough to get a vaccination. I have no idea if this Martial law would happen. But we need to know what our government has up it's sleeve more then ever since we have a dictator in charge that loves fear mongering and scare tactics. Obama is the danger I worry about and what he would do in situations like the swine flu. Remember Y2K, total panic. It was the discussion every day in the news. This so called crisis is being pushed like the article said. by Obama and his Homeland Security Janet Reno's look alike, and we all know what a fan of her that we are..... not. I don't trust Obama and he has surrounded himself with the same kind of people that mirror him in his thinking. Heck I trust the swine flu more then I trust Obama. ......Thank you RAC so much for sending this to me. A blank document from the Iowa Department of Public Health has been discovered online, designed to be filled in with the name of an H1N1 virus victim who is required to relocate from his or her home to a quarantine facility. The form, which began appearing today in e-mails and on the Internet, has concerned a confused public already swimming in conflicting reports about the severity of the swine flu and intrusive government measures that many fear may be taken if the disease becomes a pandemic. The Iowa document, which WND confirmed with state officials is authentic, has done little to calm the public's fears. "The Iowa Department of Public Health has determined that you have had contact with a person with Novel Influenza A H1N1," the form reads. "The Department has determined that it is necessary to quarantine your movement to a specific facility to prevent further spread of this disease. "The Department has determined that quarantine in your home and other less restrictive alternatives are not acceptable," the document continues, before listing mandatory provisions of compliance with relocation to a quarantine facility. The blank-form document, which has no name or case number listed, is titled a "Facility Quarantine Order," and though Iowa Department of Public Health Medical Director Patricia Quinlisk confirmed the state has the form, she told WND it's highly unlikely it will ever be used. "We've had these kinds of template orders for years, but we hardly ever use them," Quinslick said. "I can count on two hands the number of times – in 20 years – that we've had to relocate a person because of quarantine." Quinslick wasn't certain who released the blank document, or who signed her name to the bottom of some versions circulating on the Internet, but she wasn't concerned that it's been made public. "We're not trying to hide anything," she said. "This is the kind of form we use." Quinslick told WND her department has prepared similar documents for several contagious diseases to "have them ready just in case." But at the same time, she said, state law requires that when IPDH does need to quarantine someone, it be done in the least restrictive way possible, which typically means in the person's home. "Usually when we relocate, it's only because they have no place to be, like a homeless tuberculosis patient," Quinslick said, "One time, I recall, we relocated a homeless man to his relative's house." The Facility Quarantine Order for the H1N1 virus that has been circulated online illustrates Quinslick's point. Following the order that a person be removed from his or her home, the form contains a blank for explaining the reason, including one of the following: "the person violated a previously issued home quarantine order, the person does not have an appropriate home setting conducive to home quarantine, etc." Quinslick told WND it was doubly unlikely the state would use the form, since the swine flu has proven less dangerous than earlier estimates. "I don't anticipate using [the form] for H1N1, since it's been shown to be a very mild disease," Quinslick said. "We found this spring it's not as serious as feared." As for fears that Iowa is preparing detention centers for rounding up the people who refuse swine flu shots, Quinslick was quick to dismiss the idea. "Iowa has no relocation facility currently," she said. "If we can't quarantine a person in their home, we usually use a hotel room. There's not a facility, no gymnasium or anything like that set up. "And I've never been in on any discussion of forcing people to be vaccinated," she added. "If there's a highly contagious outbreak and a person refuses vaccination, that's fine, they don't need to be vaccinated, but they may need to stay home until we're certain the danger has passed." A "pandemic response bill" currently making its way through the Massachusetts state legislature would allow authorities to forcefully quarantine citizens in the event of a health emergency, compel health providers to vaccinate citizens, authorize forceful entry into private dwellings and destruction of citizen property and impose fines on citizens for noncompliance. "Pandemic Response Bill" 2028 was passed by the Massachusetts state Senate on April 28 and is now awaiting approval in the House. God help us. This administration is totally out of control. Hillarycare and Obamacare all in one. Unrelenting and increasing pressure is working with the Tea Party Express and the Townhall meetings. Obama and his gang will try all they can to put this bill through, but we still have a chance to stop it. Our side is growing in numbers and not only Republicans and we conservatives but also democrats are joining in as we have seen. The United States of America is devolving into medical fascism and Massachusetts is leading the way with the passage of a new bill, the "Pandemic Response Bill" 2028, reportedly just passed by the MA state Senate and now awaiting approval in the House. This bill suspends virtually all Constitutional rights of Massachusetts citizens and forces anyone "suspected" of being infected to submit to interrogations, "decontaminations" and vaccines. The silence is almost deafening in the American press when it comes to publishing information about the potentially lethal link between swine flu vaccine and Guillain-Barre Syndrome, a dread nerve disorder. While other parts of the world are not much better informed, information about the link reached the public in the United Kingdom in mid-August—but only after two letters were leaked to the Daily Mail. The letters were addressed to 600 senior British neurologists. One was from the UK’s Health Protection Agency and the other from the Association of British Neurologists. The specter of Guillain-Barre is too dangerous to be ignored in the United States, and news that it may be caused by the swine flu vaccine should not be soft-pedaled. Guillain-Barre syndrome (GBS) is an autoimmune disorder that ravages the protective sheathing of the nerves, affecting the brain and the spinal cord, and can cause paralysis to the point that patients must be put on respirators in order to breathe. GBS can cause death or permanent disability, and there is no treatment or cure. Although no one knows its exact cause, physicians know it can be triggered by surgery or by vaccinations such as the swine flu vaccine—and the vaccine is the big concern of the moment, given the precedent of 1976. What happened in 1976? The American government rushed to develop a swine flu vaccine and gave it to about 40 million people. Soon after the deaths of 25 people from paralysis and respiratory failure, the government strongly suspected the vaccine was the cause and withdrew it. The swine flu itself, on the other hand, killed only one person. The new strain of swine flu used in the new vaccine is slightly different, but concerns about GBS remain the same. The leaked letters beg doctors to be on the lookout for patients with symptoms of GBS, revealing deep doubts and fears in the UK about the safety of the new vaccine. The letter from the Association of British Neurologists, for instance, informed physicians that the vaccine caused a possible eight-fold increase in GBS during the 1976 U.S. swine flu bout. The Health Protection Agency letter reminded physicians that in the United States’ 1976 bout, more people died from the vaccination than the flu. Over 500 cases of GBS were diagnosed and resulted in the vaccine being withdrawn after just ten weeks. “I would not have the swine flu jab because of the GBS risk,” said one senior neurologist. I don't get why the government might be going to force the H1N1 on people. Not everyone can get this swine flu shot. Why does Obama have to force everything, he needs to let people decide and or people with their doctors make that decision. There is no way I can take the H1N1 shot, the Squalene in it is the biggest reason why. Years ago I had Optic Neuritis. It started in one eye, I woke up one morning and I was totally blind in one eye. A week later the other eye. Yep both eyes and it was very scary, but for some reason I just took it. Looking back now I wonder why I didn't freak out. I cried a few times, was always afraid but kind of just went through it. Like ok this is what I am supposed to have and I can't do a thing about it. I didn't want to worry Nicholas, maybe that is why I didn't let on how afraid I was, not sure.That is the weirdest thing, to have ones eyes open and see only solid blackness, no light at all. Even with a flashlight aimed right at the eyes. Yes the doctors tried that too, do you see this do you see that...nope nothing. After three eye specialists and the most wonderful doctor I have ever been to at Cedars-Sinai Medical Center. A Neurologist and about 8 months later I could see again. But it still took me almost 7 years to get my Peripheral Vision back well enough to be able to drive a car and feel safe and that I would not harm anyone in bad judgment. So there is no way I would take something, anything that would possibly mess with anything to do with nerves like Squalene certainly would. I was very blessed, because I was told that optic neuritis is almost always something a person gets that has multiple sclerosis. And the MRI that was done on my brain found nothing....LOL I know, true though, there were no signs at all of the condition they called demyelinating plaques on my brain. The middle video I can agree with, the Doctor that is sometimes on FOX said to get the normal flu shot but to wait on the other one since it has not been tested enough. He seemed very honest. I am not telling anyone not to do or to do something. Please oh please know this always from me. And I seldom have shared personal things on my blog, email yes, but not so much on my blog. I didn't want to bore anyone more then anything. hahahaha But I had to share about what happened to my eyes since this H1N1 has so much bad stuff in it especially Squalene. Other then that I have been very healthy all my life, thank you God. While I was blind I still had to go to work at my little gift shop. There was no way I was going to sit home and feel sorry for myself. haha So in I went, Nicholas would drop me off and stay when he could if he did not have a stunt job. But when customers wanted to buy things they had to make their own change with the cash register.LOL Talk about trusting people. But they were great and helped a lot. I could not see anything so I went by voices and I knew most of their names. But one day a man was buying things and I knew his voice but I knew it was his first time in my shop. So I said, Mr. Lawrence could you please help me. I know you can't tell this but I am blind as a bat right now.... I know you by your voice ( Steve Lawrence the singer) could you please punch the lower right key on my cash register and make change for yourself. He about died and then we both laughed. He made his change and stayed to visit awhile. My shop was in Malibu so I it was odd he had not been in before since so many of the Hollywood people live there. He came back later when I could see and we shook hands and had a good laugh at how I approached him about being blind.